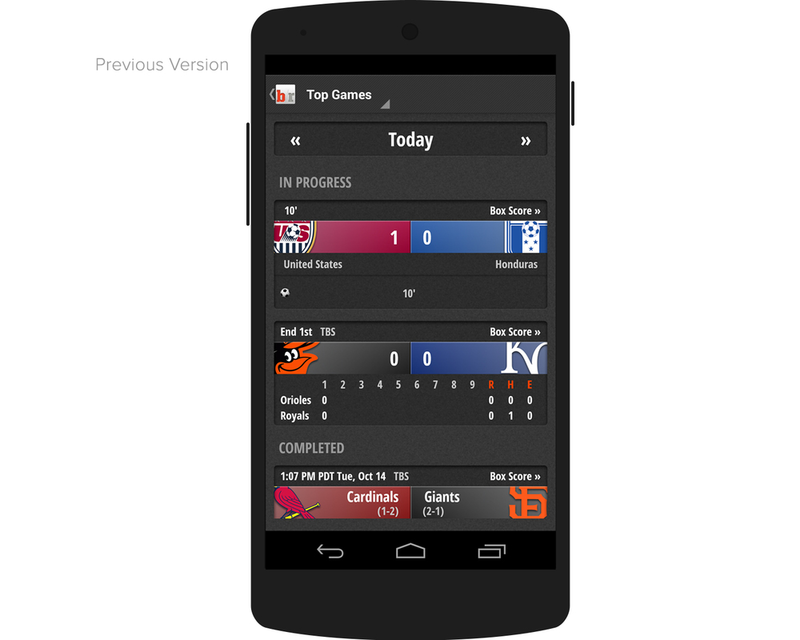 Bleacher Report's Mobile app for Android. 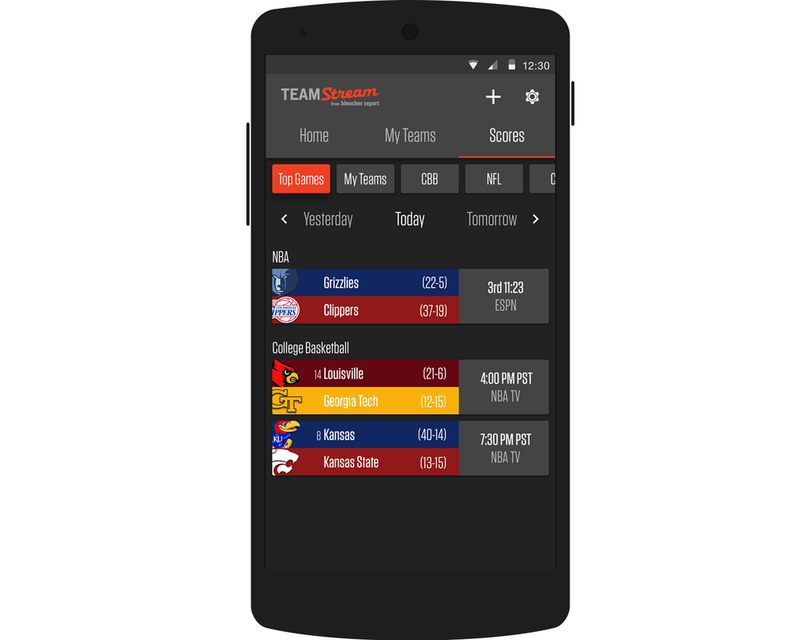 Delivers up to date news alerts for your favorite sports teams. My focus was redesigning the entire Android app. I focused on both the UI and UX of app by implementing Google's Material Design. 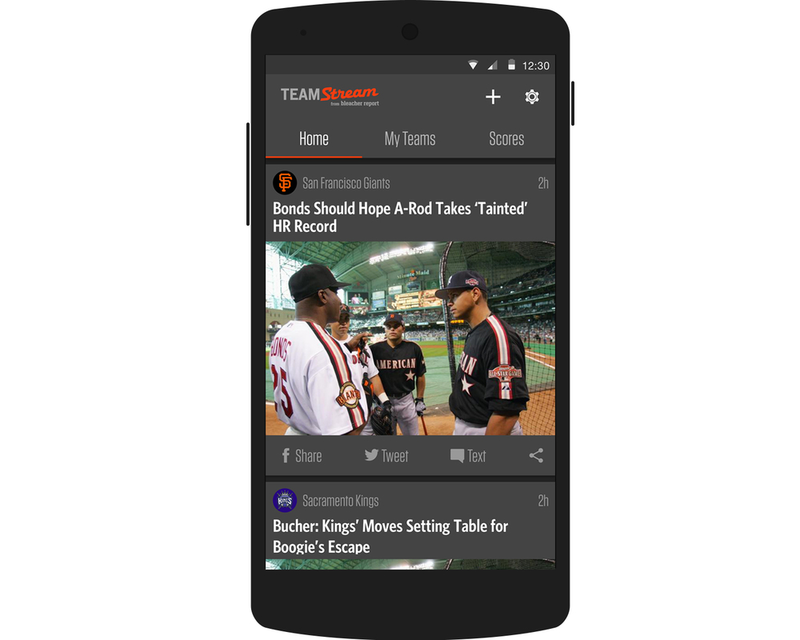 Bleacher Report's Android app needed a major refresh after not being updated for several years. 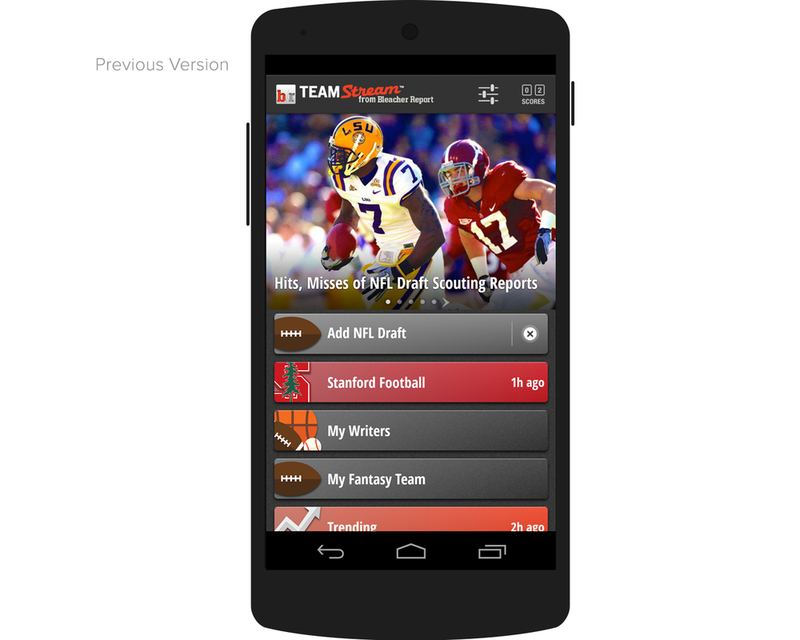 Bleacher Report provides a large amount of content including articles, videos, media streams, and social sharing. The challenge was to make this content easy & simple to browse. With the release of Google's Material Design, I studied the standard UI visuals and UX behavior of Android devices. 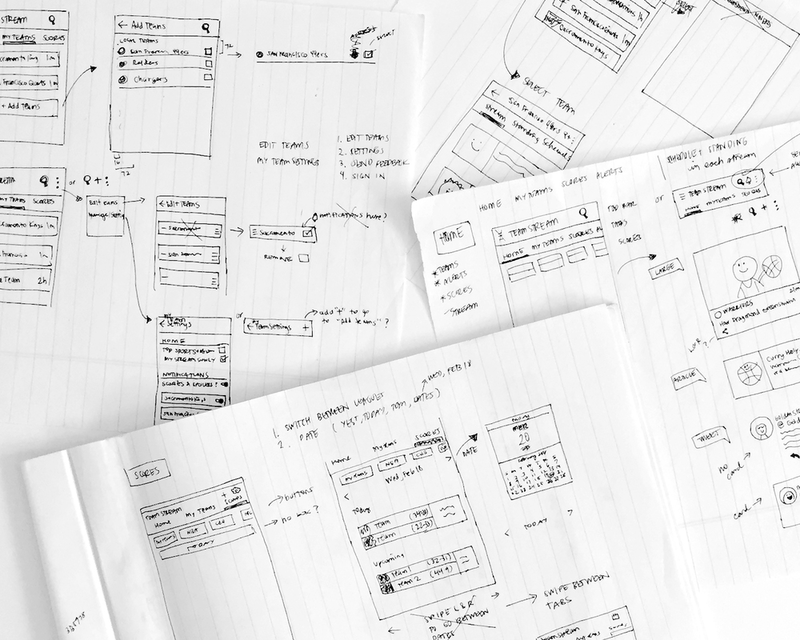 I started with wireframes and created high fidelity mockups using Sketch. Worked directly with VP of product & developers to implement designs. Once implemented, I was able to test and reiterated designs.